Triennium is a gathering held every three years for high school age students in the Presbyterian Church (USA) and the Cumberland Presbyterian Church. Youth from all churches (across the sponsoring denominations) come together for this life changing, life giving, faith growing gathering! Five days that help form a younger generation of active Presbyterians. Five days that shape the leadership gifts and deepen the discipleship awareness for a generation who are already achieving a strong presence in this church and the world! 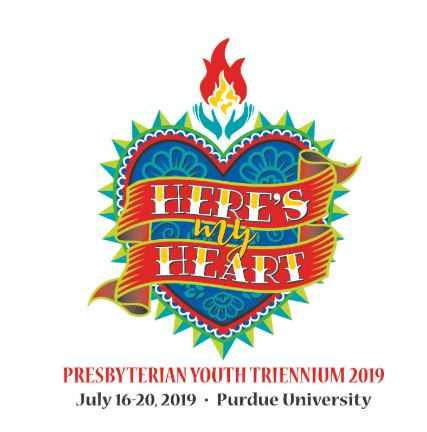 Triennium is Tuesday, July 16 th through Saturday, July 20 th , 2019 at Purdue University, West Lafayette, Indiana. The New Jersey Presbytery delegations will leave from Johnsonburg on Monday, July 15 after a day of Adventure Programs and group building. The NJ delegations will return to Johnsonburg in the early hours of July 21. High school age youth (entering freshman through graduated seniors) and accompanying adult advisors (age 24+). What does it cost to attend Triennium? Registration fees for Youth is $555 and 18yrs and Older $575. Travel and Johnsonburg Adventure day costs are covered by the Presbytery of Newton through congregational Missional Giving. Registration has several steps. It is important to complete each step in order. Click here to register with the Presbytery of Newton Registrar. When the submit button is clicked you will receive a confirmation message with the Presbytery of Newton Johnsonburg “hold code”. Use this code for Step 2. Adventure Day begins on Monday, July 15 at 10 am with “check in” at Johnsonburg Camp. The delegation will return to Johnsonburg late July 20 or in the early hours of July 21. There is an option, for an additional cost of $55, to stay over at Johnsonburg following the return so participants can be collected for home on Sunday morning. ***Important*** if you do not have J'burg account you will need to "create an account". Both youth and adults register as "camper". To complete this step you will need to pay at least the minimum non-refundable deposit of $175. Step 3 – Complete release forms for Triennium. Only when this final step has been completed will the participant be registered for Triennium. 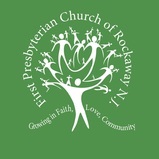 Adult and Triennium Work Crew registration contact the Presbytery office for registration instructions.